Mine friend, the Communal Cow, went on his “sponsored” honeymoon to Alleppey [the first of many, I’m sure!] and came back with these!! Came back with these! For me!!! 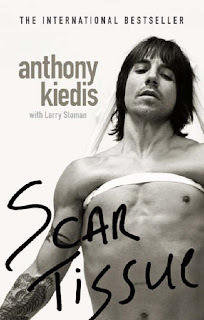 currently tripping on Scar Tissue and crossed the part where two not-so greenhorn high school friends, a stoned Keidis and an equally stoned mike balzary (who would soon be known to the world as Flea), are jumping off buildings into random swimming pools. And the Red Hot Chili Peppers exist in the not-too-distant future. cool! Puppet Masters. Ah! 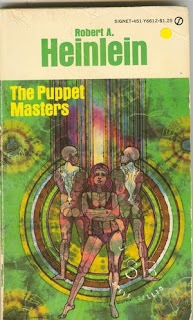 What can one say about Heinlein what hasn’t already been said? Sorry, no reviews. For either. Buy them, they’re worth it. Or just get your friend to go on his/her honeymoon. Hehehe…. oh? ok. i did. not at first listen, but then it kind of grows on ya. now i almost loves it. and yes, that's the correct name of the album.